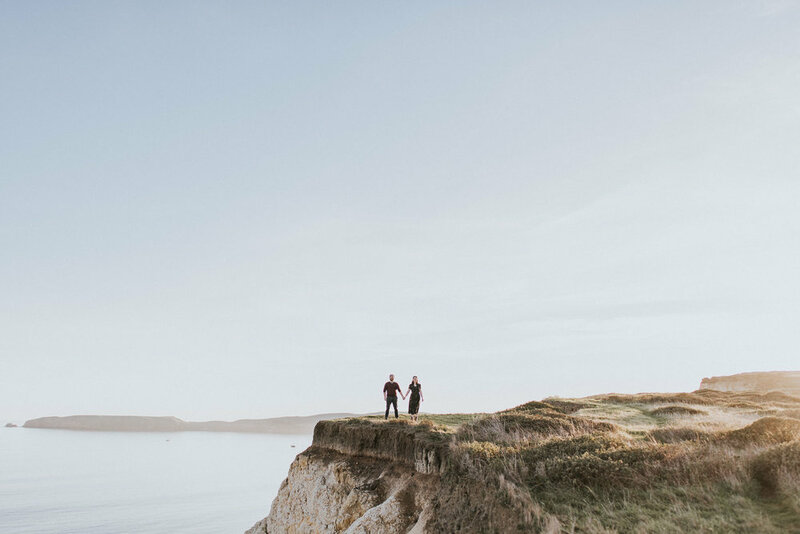 When Adrianna + Rhys asked me to come out to San Francisco for an engagement session ahead of their wedding in Oakland next month, they said they were up for any location - which is pretty much the dream, given a canvas like Northern California to play with. 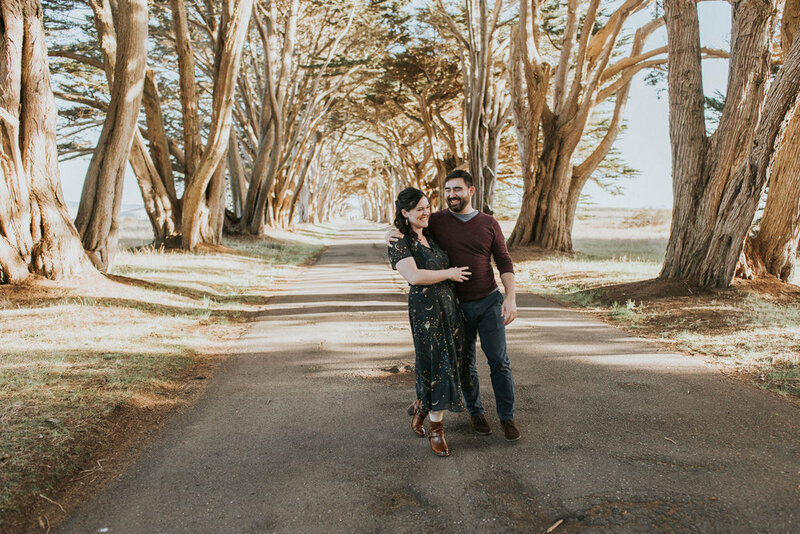 I suggested Point Reyes, which was probably a little crazy in retrospect - being one of the windiest places in the area and it being winter and all. But the park gave us the best weather we could've asked for (70s and a beautiful sunset!) and this evening was awesome. 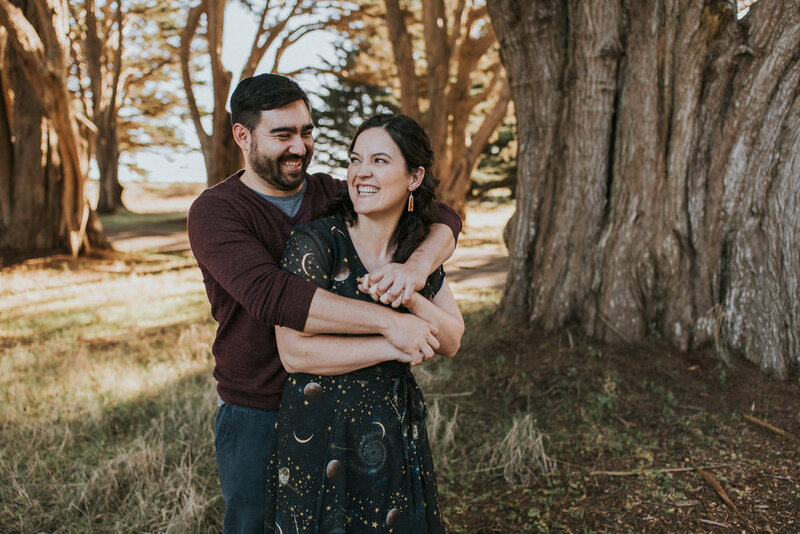 These two are so much fun and shooting with them got me so pumped for their wedding at Chabot Space + Science Center - they're celebrating inside a freaking planetarium next to a freaking redwood grove and having karaoke at their reception! 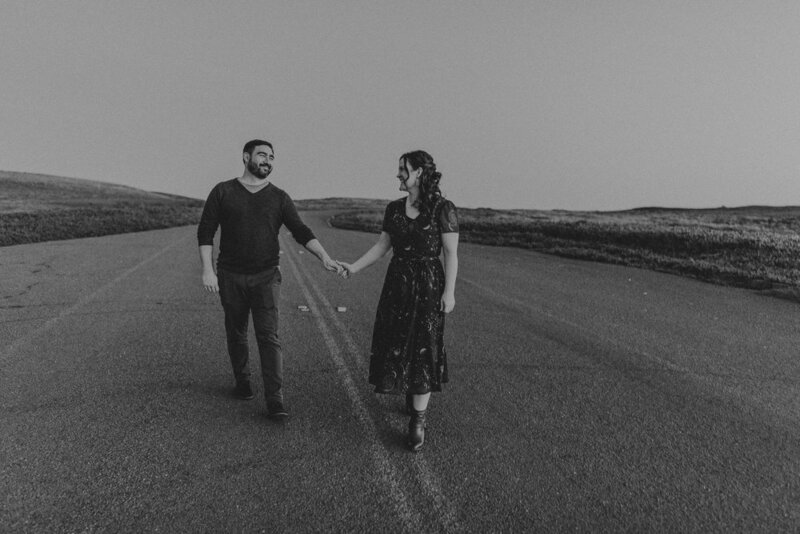 Also, a hilarious amount of things went wrong leading up to this session, but Adrianna + Rhys were incredibly chill and just so excited to wander around and play. They rock. We wandered down a lane of beautiful, old cypress trees for a bit and then headed out to explore a random cliffside trail over the Pacific coast. I really had to keep reminding myself we were in California and not Scotland, because Point Reyes really has that UK countryside vibe. So hilly. Much green. Such beauty. Wow. Can't wait to head back out west to hang out with these two again in under a month!